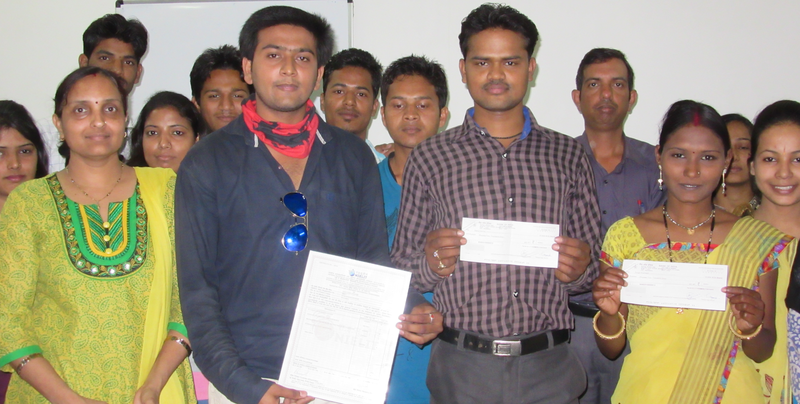 Bluetech: DOEACC O level diploma and Scholarship distributed to the students. DOEACC O level diploma and Scholarship distributed to the students. NIELIT (Formerly DOEACC) courses are required for any government jobs and must in central government jobs. NIELIT is offering Rs. 8000/- scholarship for O level computer diploma course for all female category without any caste boundation and for Schedule Caste, Schedule Tribe and Handicapped Male candidates. O level for state government jobs like Patwari, PWD, MP Police, MPPSC, Education Dept., Health Dept. etc. O level for central government jobs like Railway, Postal, Indian Army, Defence Ministry, Banking Sector, Health Ministry, PSC etc. For more information visit us for best computer education in Indore with reliable diploma courses.